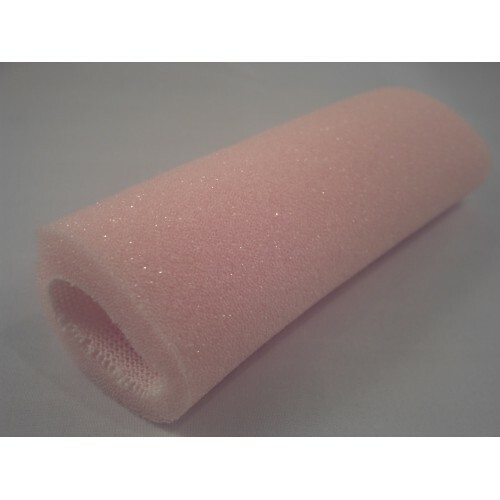 Soft TUBULAR FOAM pad for protecting toes from rubbing in shoes. NARROW for lesser toes, WIDE for big toes. Cut the necessary length and place over the toe. This product is a traditional way to protect your toes. However, be aware that it “bottoms out” quite quickly i.e compresses quickly not giving as much protection as when first used. GEL TOE STRIP is just as effective as TUBULAR FOAM but more discreet, easier to use in shoes particularly sandals, and lasts longer even though it is slightly more expensive in the first instance. Also known as tubifoam, tubefoam, tofoam, toefoam, rollfoam. ONLY 15p PER CM (as pack of 2 x 12cm strips), 11p PER CM (as pack of 4 x 12cm strips) , AND 10p PER CM (as pack of 6 x 12cm strips).